In a historic climax to the Cannon Kirk Homes Irish Squash Open in Dublin, rising stars Tarek Momen and Nour El Tayeb celebrated the first Egyptian double in the long-established international squash circuit event at theFitzwilliam Lawn Tennis Club – while 18-year-old El Tayeb prevailed in the longest ever women’s match played under the current scoring system. Fourth seed Nour El Tayeb was making her debut in Dublin – and made her breakthrough in the semi-finals of the WISPA World Tour Silver 20 event where she ousted experienced former champion Vanessa Atkinson. In the final, the world No20 from Cairo fell two games behind Jaclyn Hawkes, the third seed from New Zealand who is ranked five places higher. “The more experienced Hawkes led the third game 8-5 and looked to have the match well under control, needing only three points for the title,” commented event spokesman Gina Menzies. But the Egyptian teenager tightened up her game and eliminated her error count to draw level after saving a match-ball in the fourth. The fifth game went the full distance, with the 28-year-old Aucklander having two further match-balls before El Tayeb finally clinched the match on her own fourth match-ball to secure her first Irish Open title 13-15, 5-11, 11-9, 12-10, 16-14 after 110 energy-sapping minutes. 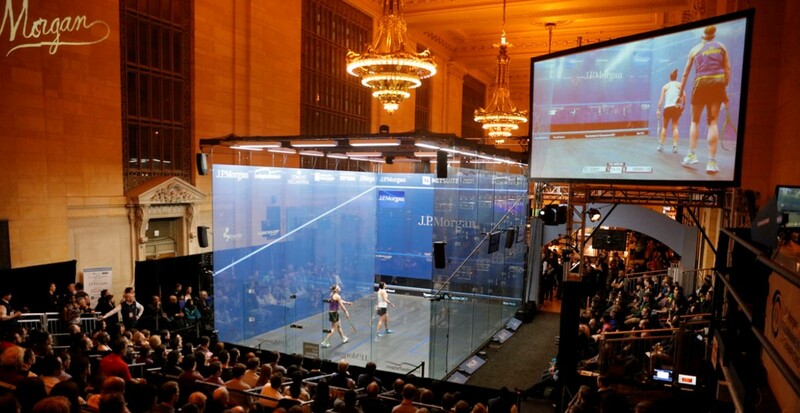 “Her athleticism and stroke range produced squash that left the crowd gasping,” added Menzies. 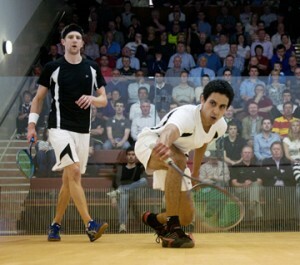 The climax of the men’s PSA World Tour International 25 event also produced a significant upset when unseeded Tarek Momen defeated top-seeded Australian Stewart Boswell. The experienced Boswell, a former world No4 from Canberra, had survived a number of lengthy battles en-route to the semi-finals where the 32-year-old, currently ranked 20 in the world, defeated Spain’s former championBorja Golan in four games. Momen, the world No24 from Cairo, was competing in his first Tour event since graduating with an Electronic Engineering degree from the American University in Cairo. The 23-year-old chased down every ball from the start and never looked likely to lose, despite dropping the third game. Momen clinched victory after 54 minutes – his 12-10, 11-7, 8-11, 11-3 win finally marking his maiden PSA World Tour title success after his sixth appearance in a final.